This is based on another design from a few years back but refined and simplified and looks great! The eyes are made with blue enamel and give it an amazing sinister look! 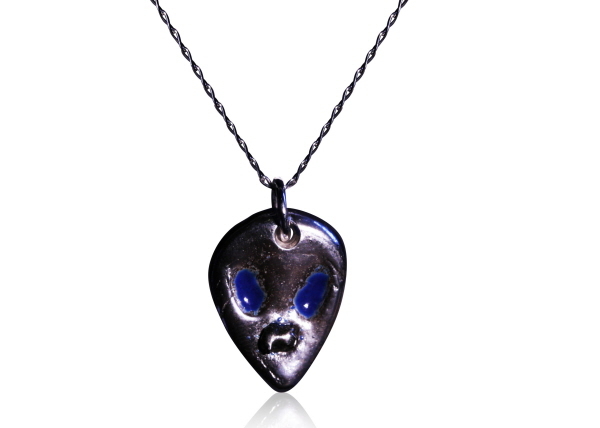 The pendant itself measures 1.7cm top to bottom - and has been strung from an 18 inch sterling silver curb chain, and boxed in a high quality black velvet lined jewellery box.